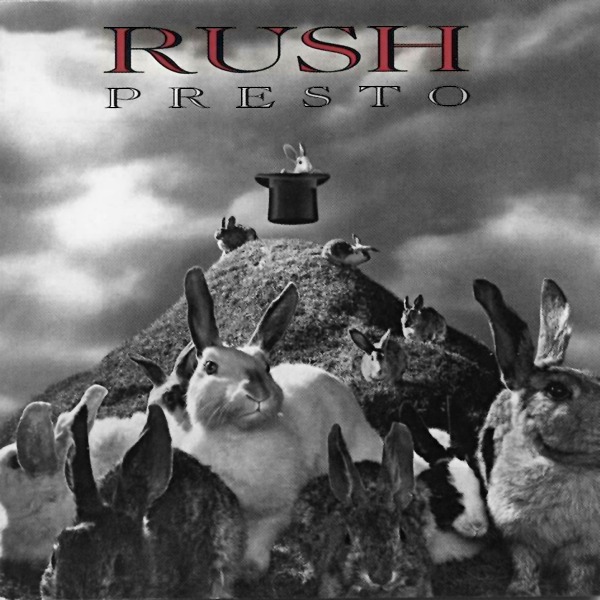 Presto begins RUSH's "Contemporary period" of 90's releases which include Presto (1989), Roll the Bones (1991), Counterparts (1993), Test for Echo (1996), and Different Stages "Live" (1998). Presto represents many changes for Rush. A New Record Label (Atlantic), another new producer, Rupert Hine, and the band's first true compact disc length release at 52 minutes, breaking a long line of 40 minute 8 song albums. The records over-all sound is a definite change from previous offerings. Neil Peart's tighter drum sound, Geddy's almost mid-range bass, and Alex's semi-acoustic guitar riffs mark a shift to this "Contemporary period" for the band and the fans. Sorry, but I can only give this thing 2 stars. I only own it because I'm a Rush completist and have all their albums. Presto is one of my least favorite Rush albums. Almost none of the songs ever really grabbed me. There are a few stand-outs, but also the un-sonic clarity of the sound of this album I think was also a turn-off. The band considers "The Pass" as one of the best songs they have ever written. Geddy Lee describes Presto as kind of a "warm-up" record to their next release, Roll the Bones, which has far superior writing on it compared to Presto.